and was approved by a vote of 16-15. The shift in favor of the program can be attributed to a more forceful police advocacy of the program. Concern over the loss of revenue generated by the program was a factor in the program's support. The revenue generated by the programs amounts to about $150,000 and is realized from confiscating property of citizens who are not convicted and often not even charged with a crime. The five who voted against the program were Freddie O'Connell, Ed Kindall, Colby Sledge, Sharon Hurt and Bob Mendes. Resolution RS2018-1486 was the bill before the Council, which formalizes an agreement between the United States Department of Justice (DOJ), Drug Enforcement Administration (DEA) and the Metro Nashville Police Department (MNPD). This agreement governs the participation of DEA Nashville District Office Task Force participants in the DOJ “Equitable Sharing Program” and formalize MNPD's participation in the program. What this program does is allow Metro to become a partner with the State and Federal government in the civil asset forfeiture program. 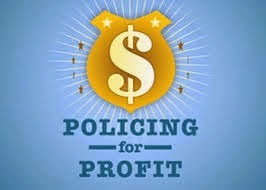 What Civil asset forfeiture does is allow the police to confiscate the cash one is carrying and one's vehicle and possession one may have in his vehicle without being proven guilty of a crime. The person whose property is confiscated may not even be charged with a crime. Often it will come about that the police stop a car for a traffic violation and the owner gives the police permission to search the car or the police search the vehicle under probable cause. Upon searching the vehicle, the police discover the driver has $5,000 in cash, for example. They can confiscate the money and the vehicle. It may be that the person was on his way to Florida to buy cocaine, but he may have been on his way to Florida to rent a truck and buy a truck load of landscape plants for a work project. In any case, the person who had his property confiscated, in order to get it back must go to court and prove he was not in procession of the cash and the vehicle to commit a crime. This can be a lengthy and expensive process. Often people do not have the means to wage the legal battle and just lose their property.